The best t-shirt in the world! 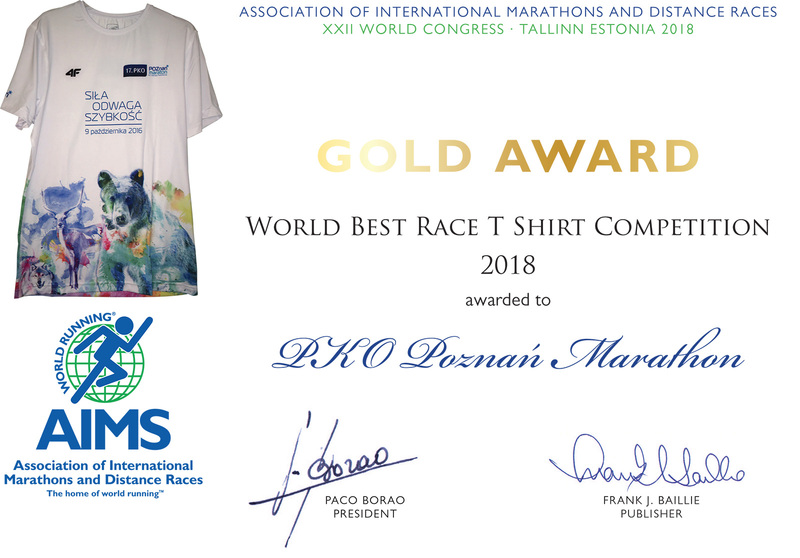 At the beginning of September, we have already informed you that the Poznań Marathon won in the category „The prettiest t-shirt in the world” during the XXI World Congress of Association of International Marathons and Distance Races in Tallin. This T-shirt is a marathon t-shirt that all participants of the 16th edition of the Poznań Marathon have. Today we have received a certificate that we want to share with you. In the above category our t-shirt won with about 100 others! The second place went to the Scotiabank t-shirt Ottawa Marathon, while the third place was taken by Valencia Trinidad Alfonso EDP Marathon.